Anglia First Aid provides high quality First Aid and Health and Safety training, meeting the needs of organisations throughout Suffolk, Norfolk, Essex and Cambridgeshire. We are specialists within the restaurant industry, though our competitive prices are relevant to all business sectors. Our Protrainings recognised courses will ensure your Company is compliant and your employees are kept in safe hands. All our courses can be delivered either in the workplace or at an agreed training venue, which we can arrange. For more information on how Anglia First Aid can help you with your first aid requirements, call Mark on 07726 776260 or email on mark.s.davis4@gmail.com. Mark was a great instructor with lots of energy and knowledge. I would highly recommend. 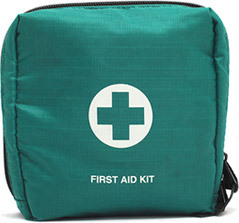 Anglia First Aid have serviced all our First Aid needs over the last 3 years. They have at all times been professional and provide a fantastic training environment. Our managers really appreciate the fun and informative courses. Brilliant teacher! Keeps it fun and still gets the information in! Had a good time!